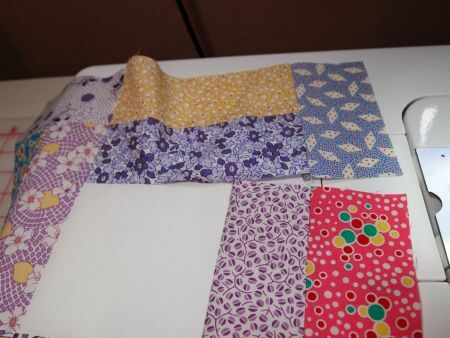 Twenty years ago, 1930s reproduction fabrics were new to the quilting world. I loved their bright, clear colors and cheerful prints. So much so that I bought a fat quarter of every one that was sold! It didn't take long before they became so popular, I couldn't afford to buy every print that came out. 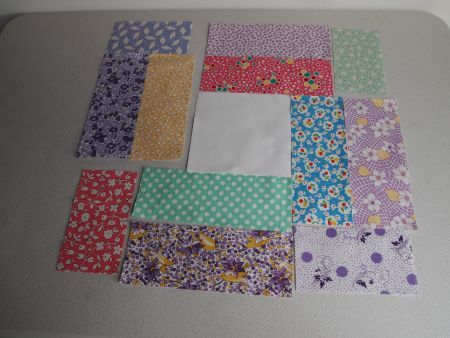 Yet I still collected quite a stash of 30s fabrics! 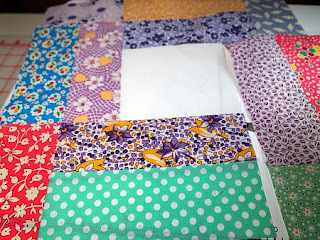 I've made more than a dozen quilts using these adorable fabrics, which means I have quite the collection of 1930s scraps. 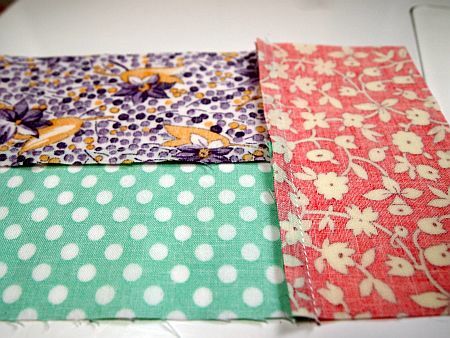 "Ring Around the Rosie" is an excellent way to use a variety of 2.5" scrap strips. If you look closely at this block, you'll see the construction is most unusual. 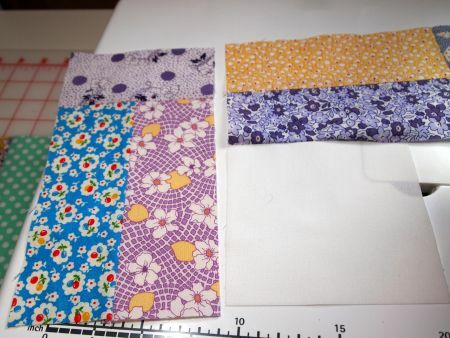 It requires a "partial seam" to attach the colored strips to the white center. First, sew the 6.5" strips together in sets of two. Press toward either strip. Then add the 4.5" strip to the right hand end of the two 6.5" strips. Press toward the two 6.5" strips. Notice the position of the 4.5" strips. Begin stitching at the upper left edge of the white square, sew the colored strips about halfway across the top of the square. 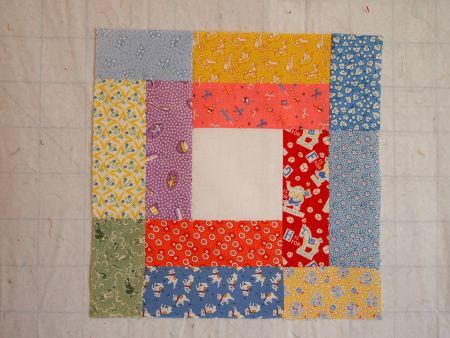 Next, add the colored strips to the left side of this piece. 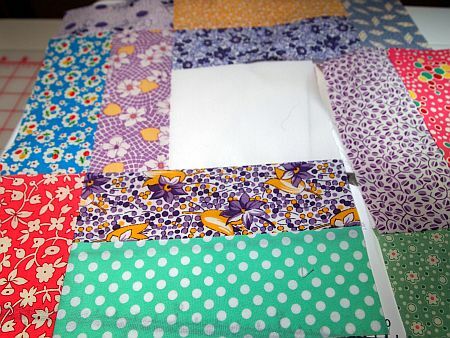 Begin sewing at the top of the colored strips and sew all the way to the bottom of the white square. Working counter-clockwise, add the bottom colored strips, then the right-hand colored strips. Press away from the white center block. Wouldn't this make a cute baby quilt? Come back tomorrow to see what's on my new, portable design wall! What a great block! Oh it would make a wonderful baby quilt! Are there examples of settings for this block? The block is wonderful. I love the reproduction prints! Partial seams are SCARY to me! but you made that "seam" easy! very cool.